When it comes to Goa holidays, everybody confines their itinerary to North Goa. 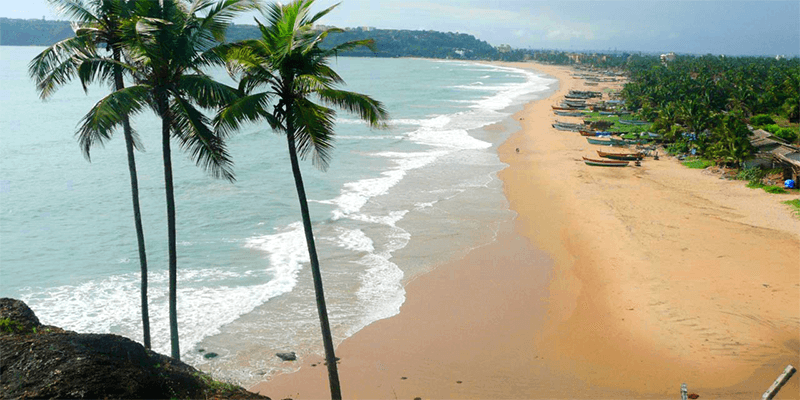 But believe it or not – South Goa is more beautiful and less crowded than its Northern counterpart. 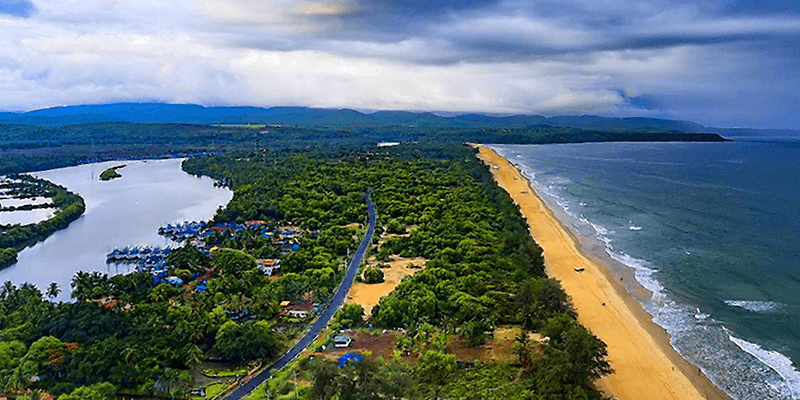 Yes, there are many beaches in North Goa that are not-to-miss Goa tourist places, but there are equally beautiful places to visit in South Goa. 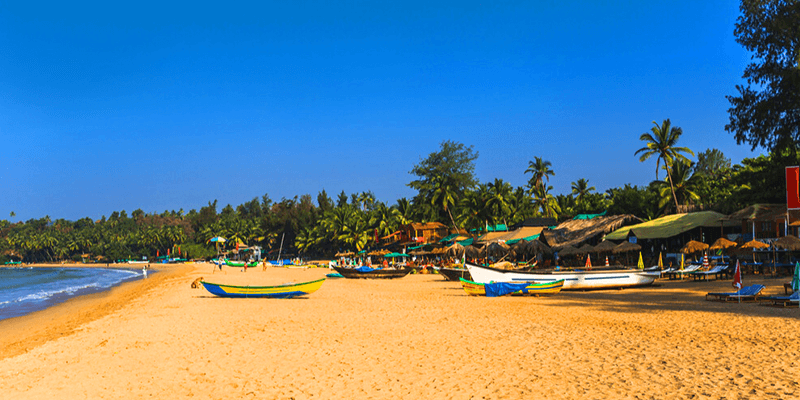 So, if you want to plan a quiet, secluded and relaxed Goa trip, then you need to include best beaches in South Goa and other landmarks from this part into your trip itinerary. 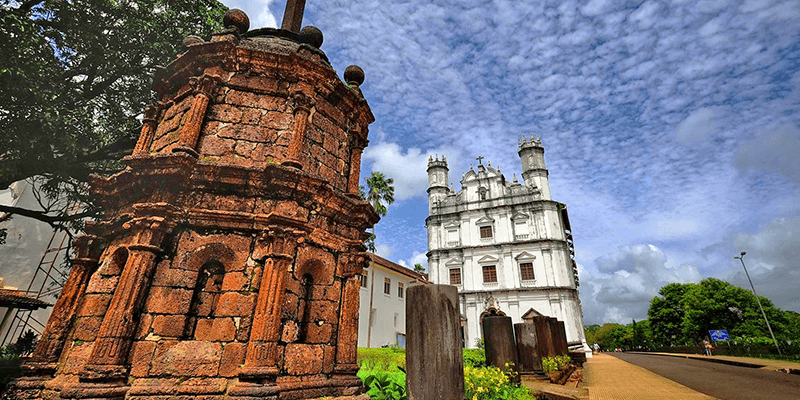 Vasco Da Gama is one of the oldest towns in Goa and came into existence in 1543. During Portuguese rule of Goa, the city was an important port and it still continues to be an important naval base. The city was named after the famous Portuguese explorer Vasco Da Gama and today it is locally referred to as Vasco. If you want to experience the best of Portuguese culture in Goa, then Vasco is a great destination. It has many ancient monuments, built by the Portuguese imperialists. And of course there are some beautiful beaches to make your trip truly memorable. 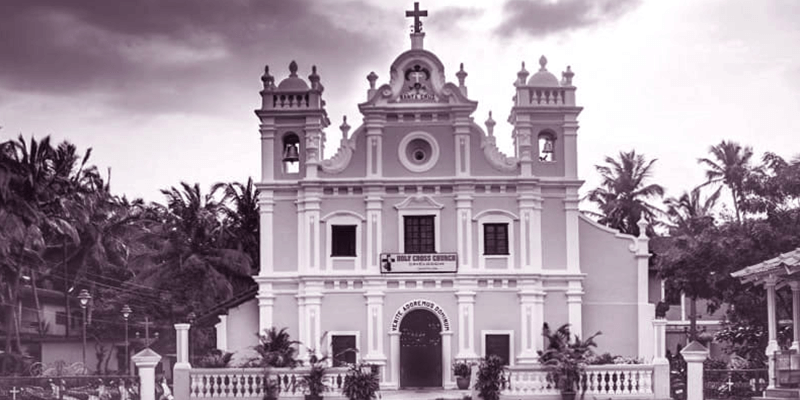 St. Andrew’s Church: Built in 1570, it is one of the oldest churches in Goa. 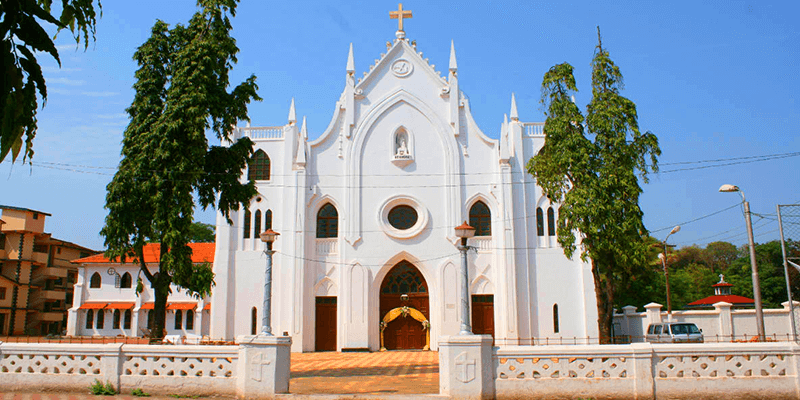 Till 1950, the St. Andrews Church had a grand facade that was destroyed soon after. Today, this ancient church is known for its simplistic interiors and rich history. 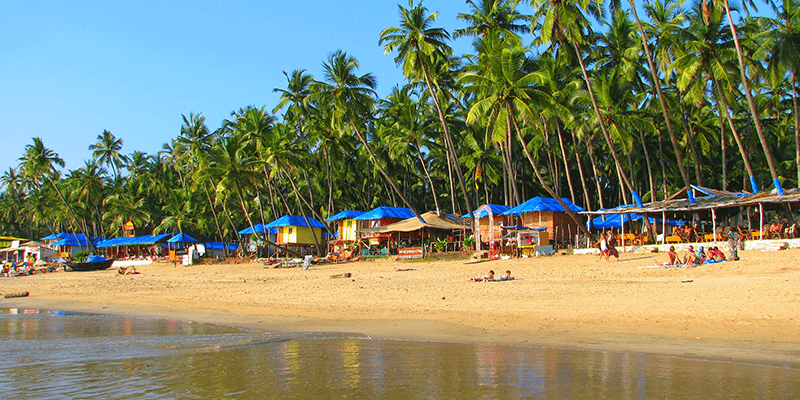 Bogmalo Beach: If you are in search for a secluded beach retreat in South Goa, then Bogmalo Beach is your answer. Though the beach is visited by many locals on weekends, yet this has not hampered its natural beauty one little bit. The glowing silver sands kissed by the sun and rows of coconut trees will surely tickle your senses. The beach is also well known for its diving activities. Baina Beach: Just a short distance from Vasco city, in the port town of Mormugao, you can come across this beautiful beauty. There is plenty to do and see at Baina Beach. One can enjoy some time snorkeling and deep sea diving. Or if you love shopping, spend some time collecting some souvenirs of South Goa trip. Also, the beach is marked by many quality restaurants which cater delectable Goanese sea food. Japanese Garden: Situated on the hills, nearby the Baina Beach, this is a beautiful garden. The garden is situated at the exact site where once the imposing Fortaleza Santa Catarina once stood. Even today you can witness some of the ruins of the Portuguese fort. 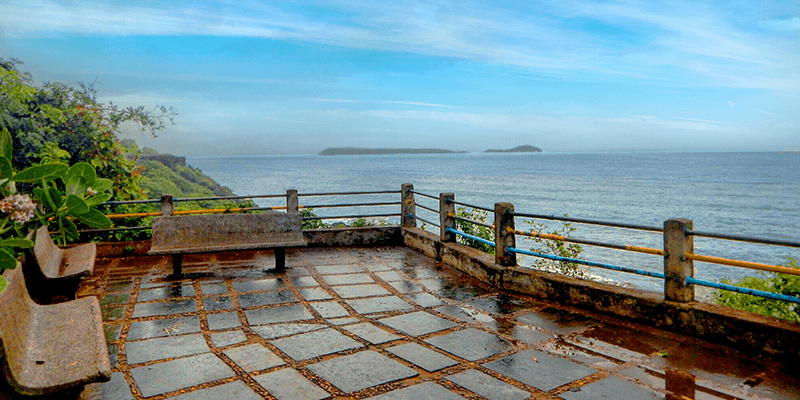 As the garden is situated atop the Mormugao Ridge, it offers panoramic views of the Arabian Sea and the islands that are spread across this vast sea. 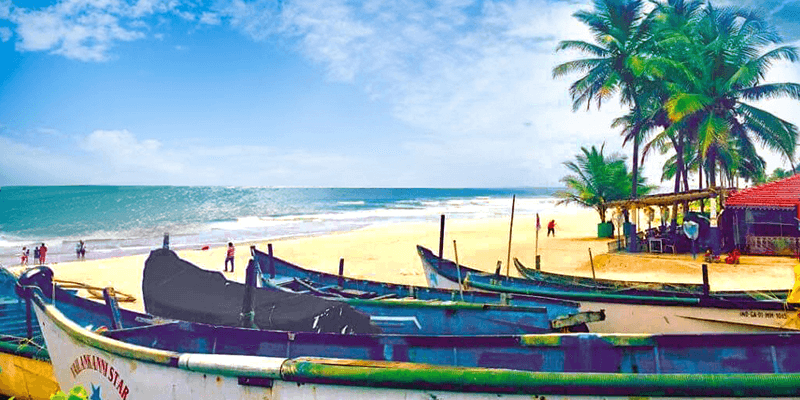 Issorcim Beach: Issorcim Beach is rated as one of the cleanest beaches in Goa. It is a peaceful beach which turns very scenic during the high tide hours, when the sea meets freshwater streams flowing nearby. The beach is bordered by lush green fields and decorated with clean white sand. This is a great place to go fishing. The seas near Issorcim Beach are known for their coral reefs and coral plates. You can find exotic species of aquatic life near the beach. Cavelossim was a sleepy little fishing village in South Goa, before it shot to fame due to the unique Cavelossim Beach. In a survey conducted in 2016, the Cavelossim Beach was rated 5th most beautiful beach in India. Situated along the Salcete coastline, Cavelossim still has a certain laid back feel to it. Many quality resorts and hotels have mushroomed around the Cavelossim Beach. Cavelossim Beach: Cavelossim Beach is situated between the Arabian Sea and the Sal River. The beach is well known for its white sand ideally complimented by black rocks (formed through lava deposition). Green paddy fields act as the perfect backdrop for this gorgeous beach. The beach front is bustling with activities. There are Dolphin trips organized at this beach. Holy Cross Church: Dedicated to Santa Cruz (or Holy Cross), this church ages more than 450 years. You will come across this ancient church even while visiting the Cavelossim Beach. It has a simple, yet artistic interior. There are carved altars of Mary, St. Paul and St. Michael. The inner walls and ceilings are decorated with beautiful paintings. You can enjoy the best features of Portuguese architecture at this church. Shantadurga Temple: According to the local legends, this temple was built in 1713. 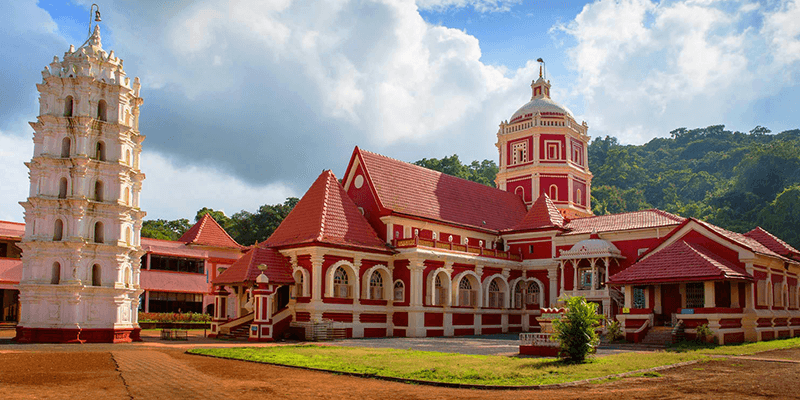 The temple is situated on the hilly terrains of Goa and remained hidden for many years during the Portuguese rule. Goddess Shantadurga is the prime deity at this temple and the temple has beautiful pyramid shapes ‘shikaras’ on the roofs. 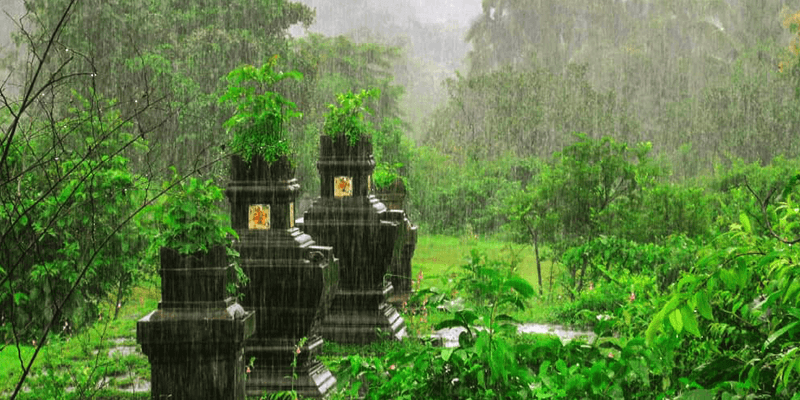 The Shantadurga temple is situated on the foothills of Kavalem village and has a green backdrop to it. 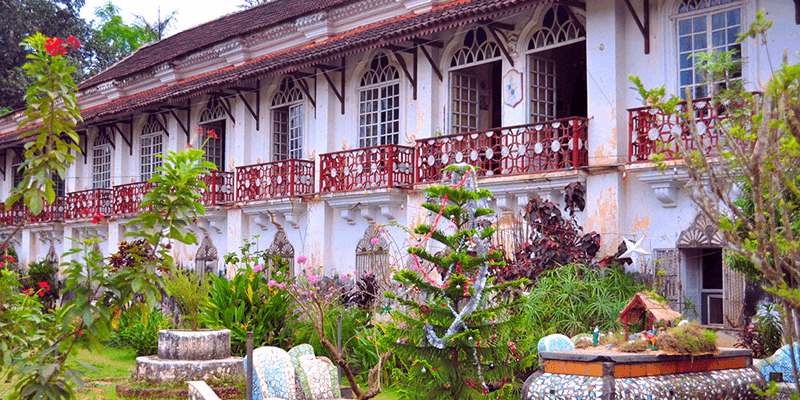 Goa has a rich and distinctive history of its own. And if you are a history buff, then Chandor is the perfect city to visit. All over this small city you will come across a grand mansions built by the Portuguese elite. But even before the Portuguese arrived, Chandor (known as Chandrapur then) was the royal seat for the rulers of the Kadamba dynasty. There are many structures from those times as well. 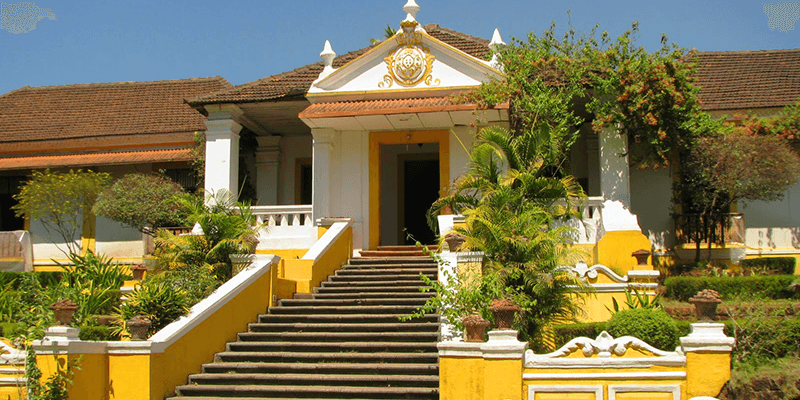 Braganza House: If you want to witness the grand lifestyle of Goa’s elite during the Portuguese rule, then Branganza House is your go-to destination. This house belongs to the Braganza family, who were granted this land by the King of Portugal hinmself. The family members built this grand mansion in 17th century. Even today most of the furniture and other amenities in this mansion have been well preserved. A trip through the house takes you back into those days of Portuguese rule and you can also listen to many tales from the days of colonial rule while visiting the rooms. Palácio do Deão: This was a palace built for the town’s Portuguese founder and nobleman, Jose Paulo de Almeida. Situated on the banks of Kushavati River, this house has beautiful gardens and magnificent Portuguese architecture. There are special tours organized inside this house whereby the tourists can have a Portuguese-inspired lunch or afternoon tea sitting on the grand terrace of Palácio do Deão. Shree Damodar Temple: Situated in the small village of Zambaulim, Shree Damodar temple houses the idol of Lord Damodar (an incarnation of Lord Shiva) which was brought to this temple after the initial temple was destroyed by the Portuguese in 1565, under the principles of Inquisition. Today, the temple sits peacefully on the shores of Kushawati River. The rivers adjoining the temple are believed to have healing powers! So, if you are suffering from a long term ailment do care to take a plunge here. Patnem Beach: Want to surf and swim? 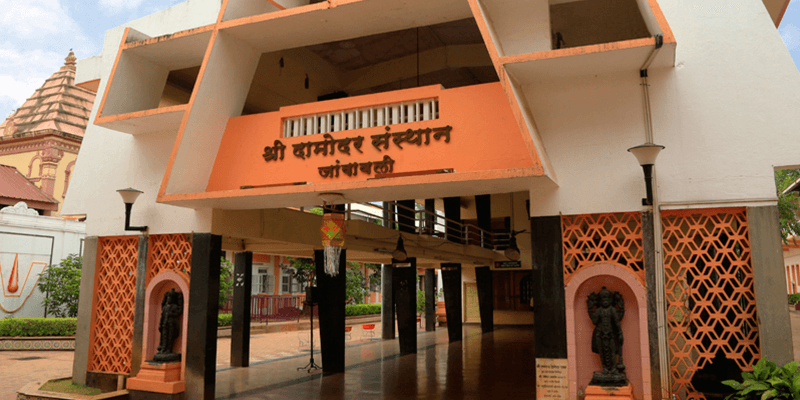 Patnem is the right option for you. The beach welcomes you with its white sand and crystal clear waters. This is a great beach to enjoy some time in the waters. Or if you like it otherwise, there are plenty of huts to spend some time just witnessing the ebb and flow of sea water. There are many Yoga retreats in close vicinity to the beach where you can rejuvenate your senses. If you are a party animal, then visit some of the shacks on the beach. The nightlife here will amaze you. 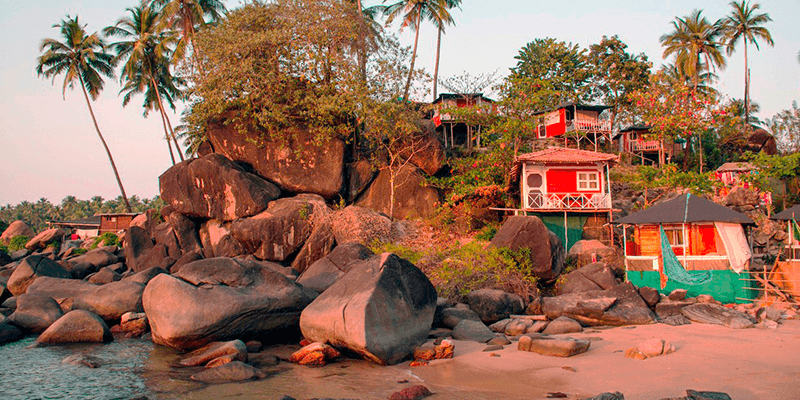 Colomb Beach: If you are a nature lover then Colomb Beach would be a real treat for your eyes. The beach is gifted with great beauty. 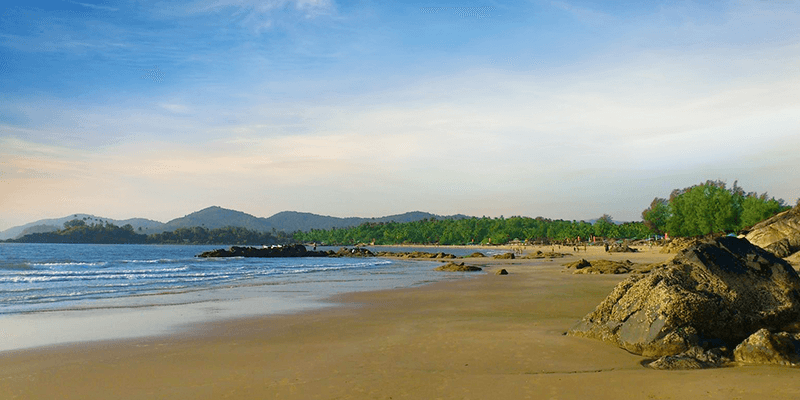 This is one of the remotest beaches of South Goa, and is sandwiched between Palolem and Patnem Beaches. Colomb Beach is decorated with rich golden sand which compliments ideally with the black rocks on the shores. On the three sides of this beach you would find unusual black rock formations. Even the Arabian Sea here rolls at a leisurely pace and the shores are shallow with no undercurrents. Perfect setting for spending some time swimming in the waters. Mobor Beach: Situated beside the Cavelossim Beach, Mobor Beach is filled with endless opportunities for those who seek some thrill. From extreme water sports to wild partying, you can enjoy it all at this beautiful and secluded beach. Mobor Beach is at the meeting point of the Sal River and Arabian Sea. There are Dolphin and Bird tours organized at this beach. The shacks at the beach serve delicious Goanese sea food. So, if you want a quiet, secluded and scenic experience in Goa, then you have got to visit South Goa. 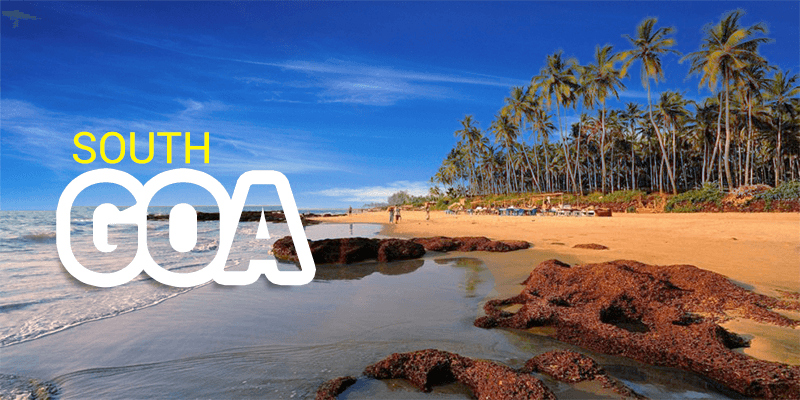 It has everything that you love about Goa. Previous articleWith more Quotas by your side, Chances of Confirmed Tickets are High! Package cost will be Rs.15999/- for a couple during peak season (except festivals, long weekends and New year period). Package will include 3 Nights 4 Days stay in 3 star resort including Breakfast and dinner, pick up and drop from Railway station/Airport, 1 day North Goa sightseeing. GST of 5% will be charged extra. For any other queries, please call at 9818348808.